Anyone wonder who comes up with the unpronounceable names for these pesky little rhetorical devices? 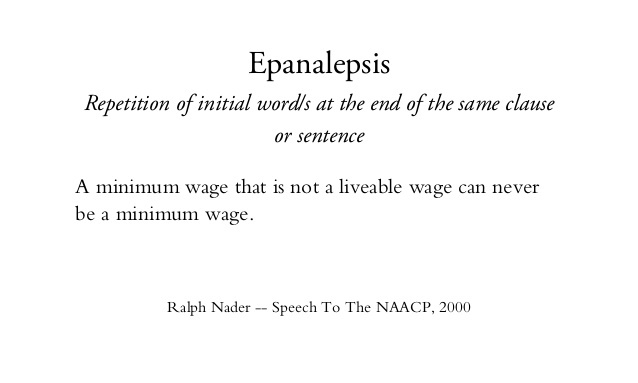 Come on, epanalepsis? Even spell-check doesn’t recognize it. I can’t wait to throw it out at my next cocktail party: “Myrtle, darling, have you been caught using any epanalepses lately? No? Hmmm, you’re saying our ears heard it but we shouldn’t believe our own ears?” Thanks, Jules. LOL…very funny. I do love those unpronounceable names that no one, including me, remembers.